Here is the trick for peeling an orange fast and easy! Even with those easy peel mandarin oranges, a person could spend half their lunch time peeling. 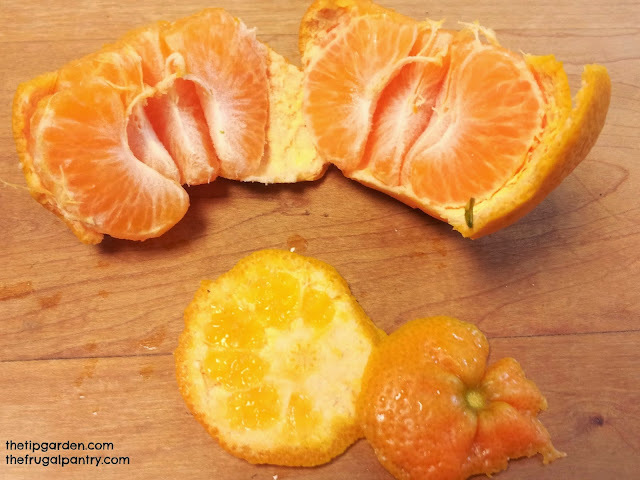 Here is a fast and easy trick, to peeling and orange quickly, and having those slices ready to grab and eat! For your child's lunch box, do step one, and then put the orange in a container or sandwich bag. Let the child split open the orange and pull the slices off one by one! 1) Cut off the top and bottom of the orange. 2) Split open the orange. 3)The orange segments will be ready to just grab and eat!